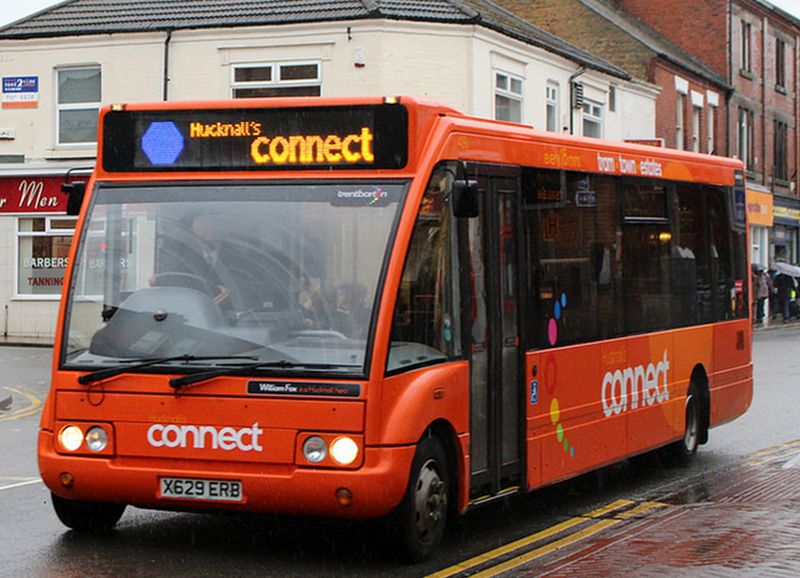 The Optare Solo will perhaps be regarded in the future as the iconic bus of the Noughties. The standard Solo design was the pioneer of its field, the first low floor wheel forward bus and offered unprecedented access to all, the name originating from the words ‘so low’ given the ease of access it offered to initially buggy pushers and in later examples wheelchair users. In the 15 years that the standard Solo was available, over 4,000 were sold and it is difficult to think of a town or city that isn’t routinely visited by a Solo. Its successor, the Solo SR, faces far more competition, with the Enviro 200 and Streetlite WF, however it continues to be popular. Brand new examples have very recently entered service with operators in York and Nottingham, including a fully electric one in York. The standard Solo is a perfect example of a timeless design. Car manufactures would not build the same model without any major modifications for 15 years as people would not buy them. Indeed most bus operators wouldn’t either because the operators would get bored and the orders would stop coming in. 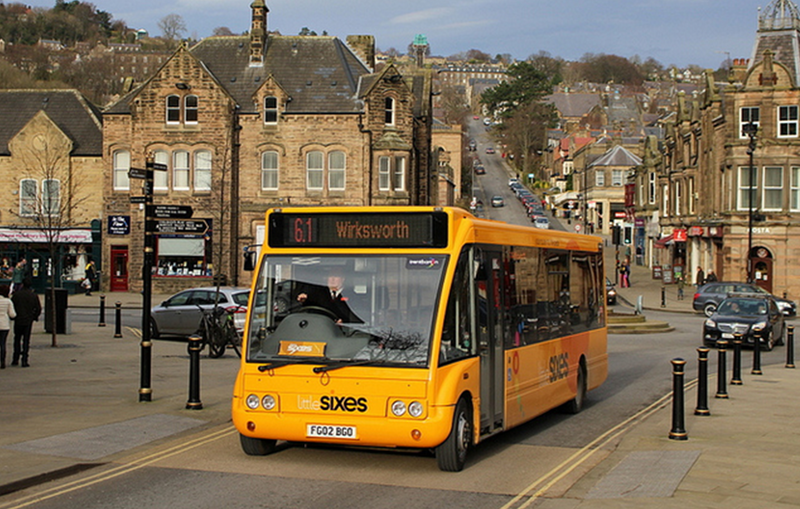 Trent Barton bought their first Optare Solo in early 2000, yet another two were added to the fleet 11 years later. Granted, the engines had been updated and the interiors were much improved but from the outside, to Joe public, it looked just the same. When Trent Barton started running the Royal Derby route, 4 brand new Solos were acquired for the service. When a 5th needed adding, it was sourced from within the fleet. A ‘W’ plate Solo was given new seat covers and a paint job and put out onto the road. It was indistinguishable from the others, bare a few minor details. For Optare, this was perhaps a blessing and a curse. The fact that operators were still buying the product meant that money didn’t urgently have to be spent on R&D, as the saying goes, “if it ain’t broke, don’t fix it.” However, operators may also have not been so inclined to invest significant amounts of money into a brand new bus that looks like a much older one. Or, indeed, a new bus that looks identical to the slightly older but much cheaper one available on the second hand market. 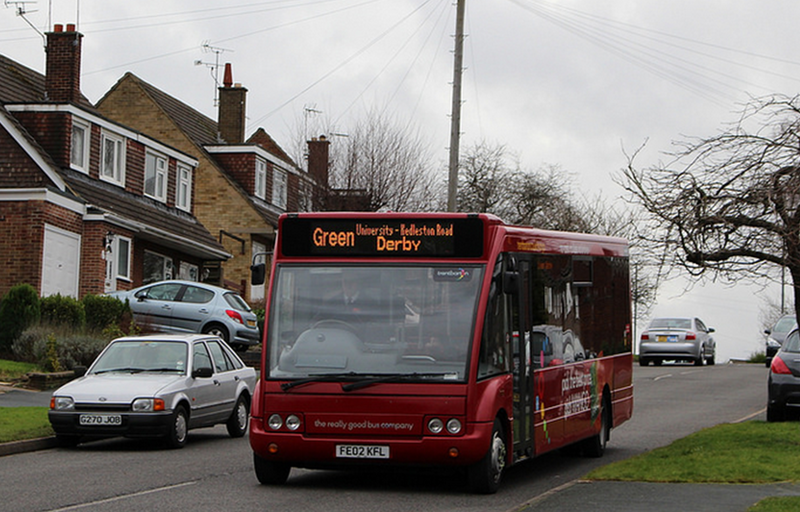 In 2006, Trent Barton chose to refurbish their ‘51’ plate Solos on the H1 rather than buy new ones, as, from their perspective buying new buses would be simply “buying new number plates.” However, this was perhaps simply an excuse, given that three years later they bought a fleet of 13 Solos to replace existing ones on the Nines. If you were to do a tour around “trentbarton land,” you’d be surprised to hear that the standard Solo has been out of production for 18 months now. You’d think that a mistake had been made, given that you were certain that you’d seen brand new ones darting around the place. What you’d actually seen was a number of the Solos, ranging from ‘X’ to ‘02’ plate that have been refurbished to a high standard. So high in fact that they look newer than some of the last examples of the standard Solo ever made. In that regard, the Solo was a fantastic investment for Trent Barton. 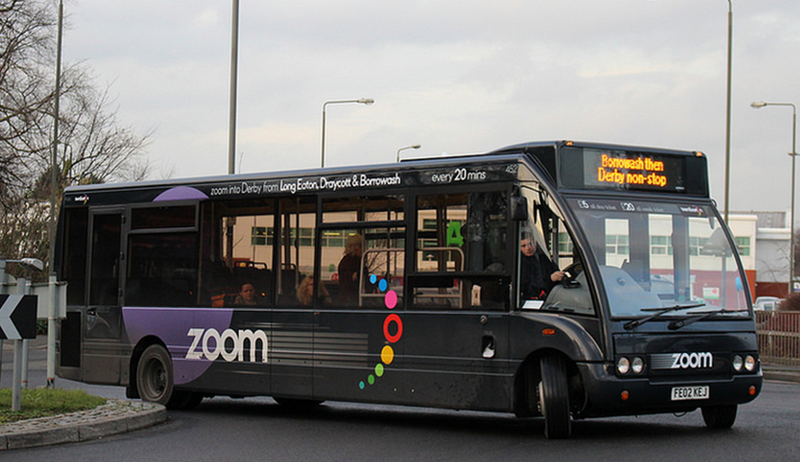 To have buses that are over 12 years old looking so modern is fantastic for an image and cost point of view. They may be a bit noisy but they are very presentable and certainly give off the right impression, with the help of the new Trent Barton brand. The Solo SR is a modern looking and popular replacement. It too is becoming a more common sight across the UK. 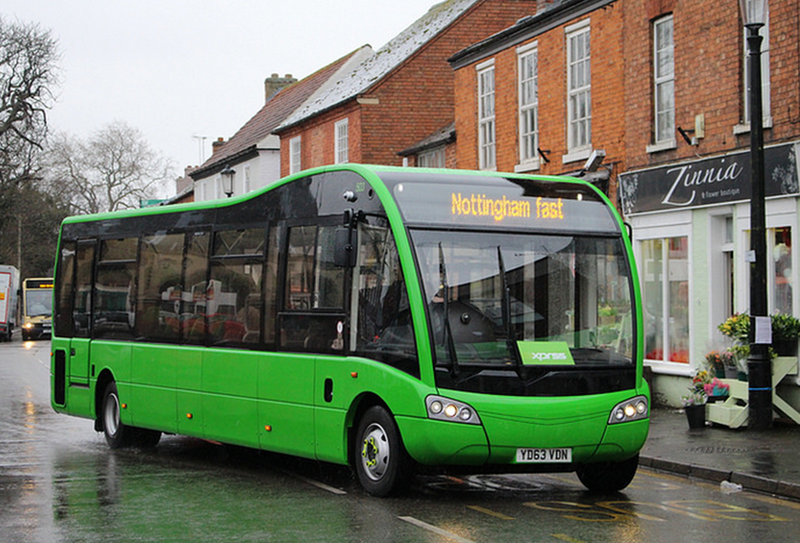 Trent Barton’s latest examples are destined for a re-branded Radcliffe Line and their lime green livery will stand out around Nottingham and Rushcliffe. The ‘10’ plate standard Solos that they’ll replace are apparently destined for the Amberline (not confirmed) and will be the first of the ‘newer’ standard Solos in the new brand. The Solo has been one of Optare’s most successful products and continues to be the perfect vehicle for so many routes across the country. Its introduction came at a time when people were still a little sceptical about low floor buses, but it proved its case and really helped make public transport more accessible for so many people. It really is the icon of a decade. Solos are still impressive, and personally think they are way in front of the Streetlites and Enviro 200. The Wright Eclipse body has been around a long time now too! Is this Blog now dead ?